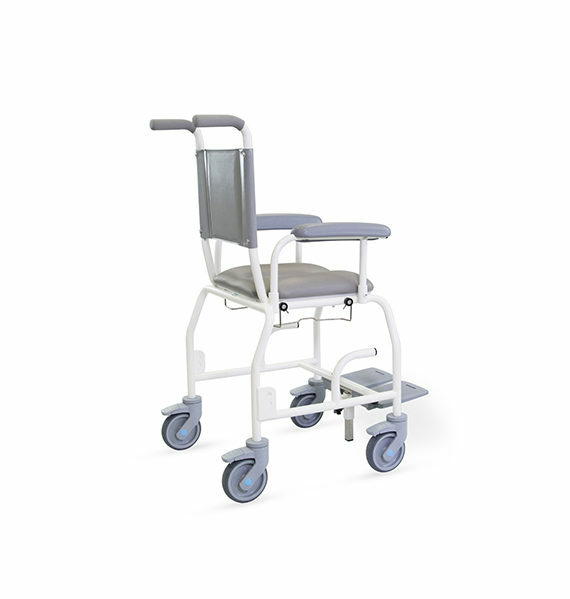 The Freeway T90 Paediatric Shower Chair is a highly versatile, featuring a seat height of 460mm, designed for children and young people. 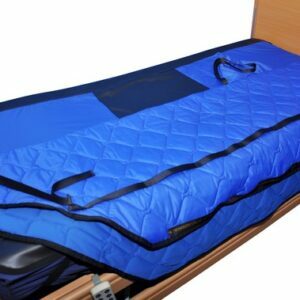 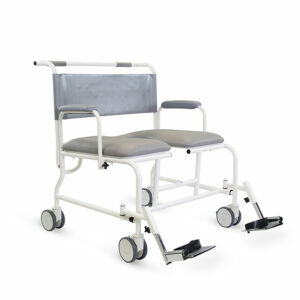 Footplates are flip up, removable and height adjustable. 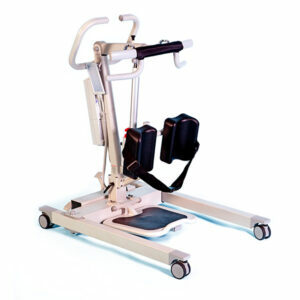 The T90is available as an assistant-propelled or self-propelled model. 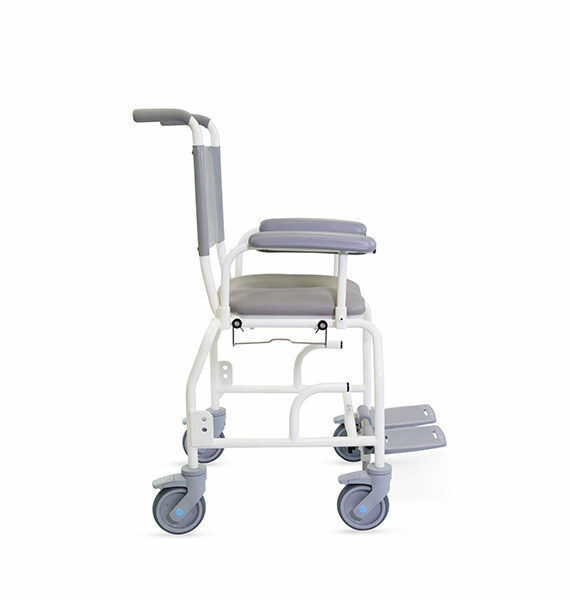 The Freeway T90 WC is a variation of the above, but for usage as a toilet commode – with a seat height of 560mm, clearing standard toilets and automatic bidets. 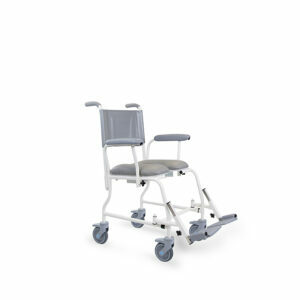 NB: Self propelled models are wider due to splayed frame. 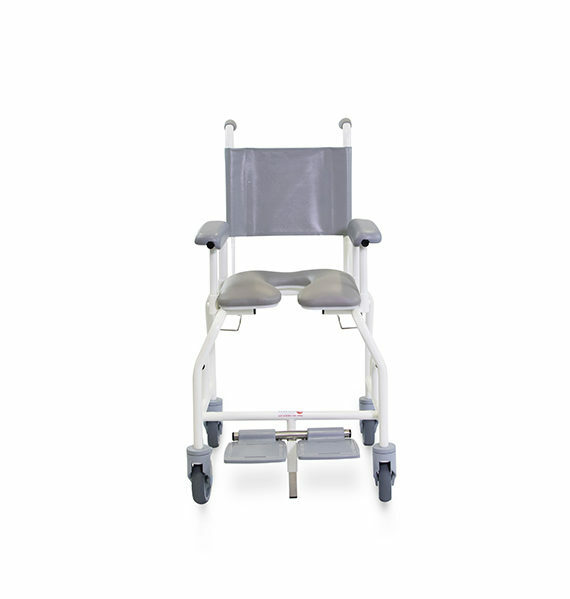 The protective coating of the shower chair includes FREECOTE®, our unique antimicrobial and antibacterial coating, which is resistant against the hospital super bug MRSA, e-coli, salmonella and listeria.